When you start reading blogs frequently a lot of US brands keep coming up again and again in each and every blog/vlog. Names like Urban Decay/Too Faced and Benefit become like Holy Grail brands and their unavailability in our country elevates them to a highly coveted status. Acquiring a product from any one of these becomes like an event. A fulfillment of sorts of a cherished dream. Some of you might think I’m nuts but a lot of you I’m sure will be nodding your heads in agreement especially fellow beauty bloggers. I had one of these dreams realized recently when I spotted this kit at the Beautiful store in Mumbai. A set containing 3 cheek products from Benefit, 2 being the most talked about and desired. 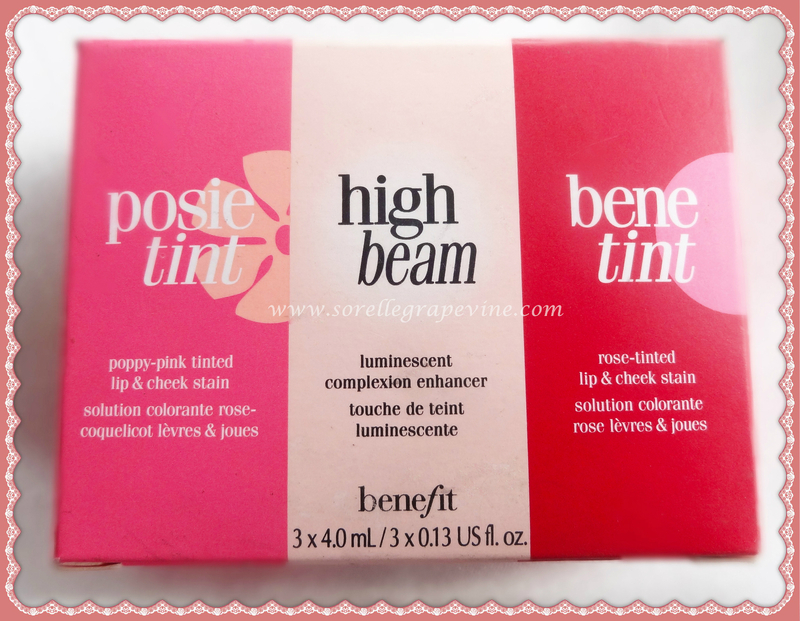 Benetint, High Beam and Posie tint. Is it any surprise that I picked them up even though they are mini versions with 4 ml of product each and I had to pay Rs. 1900/- for it. Obsession is a crazed thing knowing no bounds or logic 😛 But I do not regret it. I’m just glad that I got to experience what so many people talk about. Let’s take a closer look shall we. The kit is a cardboard box about 2 inches tall and around 2.5/3 inches wide. It has slots inside which houses all 3 bottles. Each bottle is about 1.5 inches tall. All three are made of plastic and each a white cap. 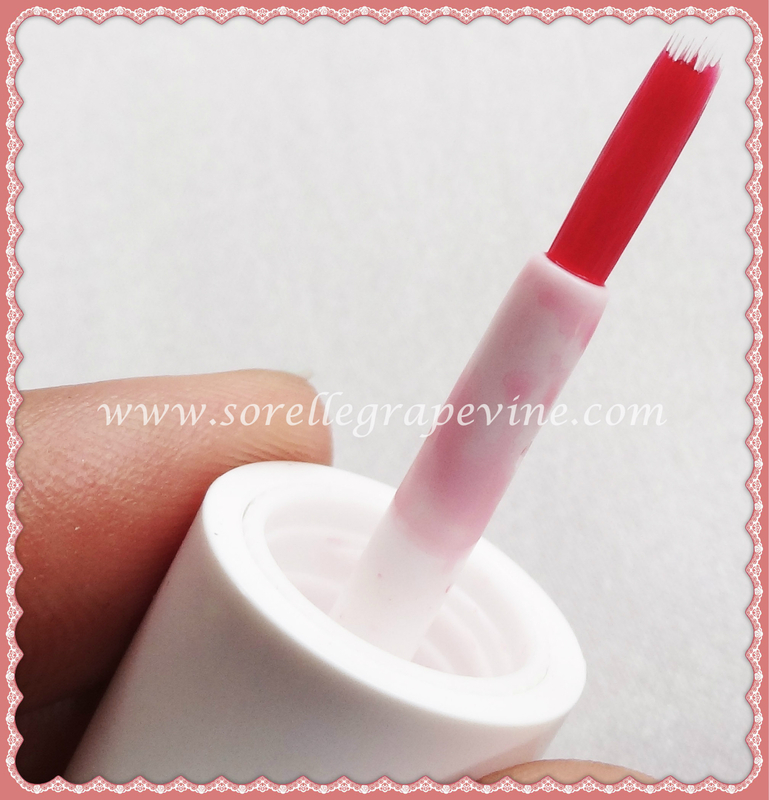 Each comes with a soft plastic bristle brush which is attached inside the cap. The bottle are perfect size for travel and are spill proof. 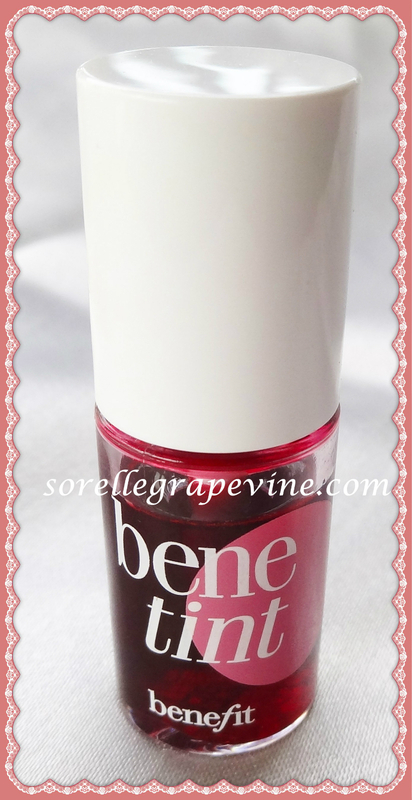 One of their best selling products, Benetint is a rose colored lip/cheek stain. This is probably one of the first products you will hear about when you come to know of this brand. 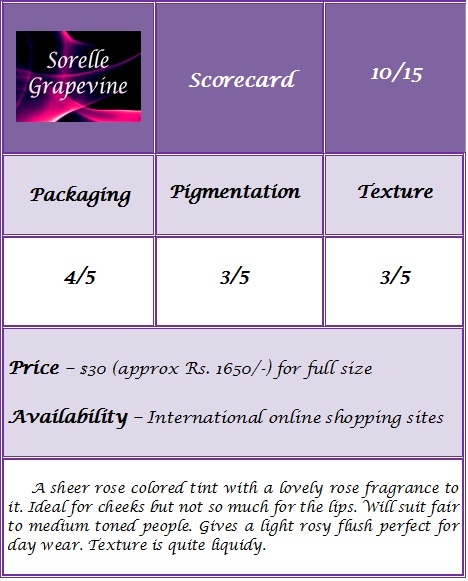 It has a lovely rose fragrance to it which makes it very pleasing and sensual. The smell does not last but the experience of putting it on your skin gets elevated. A very light water like texture. 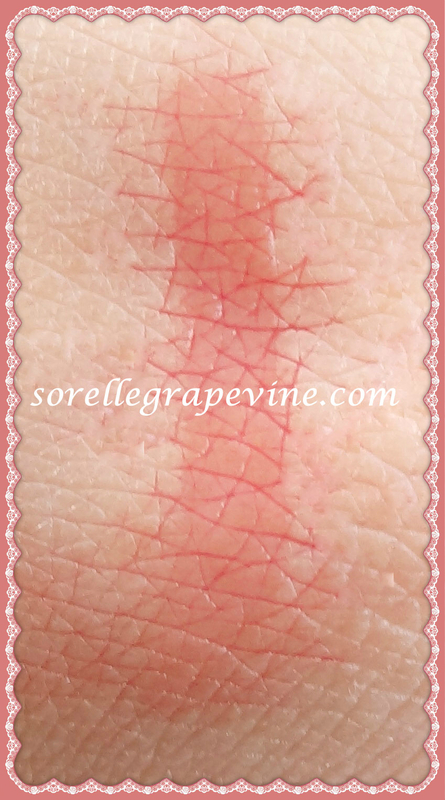 Though it looks very red when you put it on your skin but it is actually quite sheer when you blend it out. 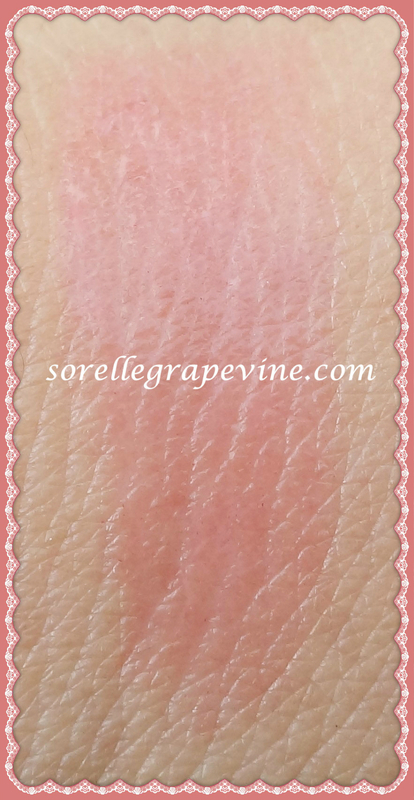 The color is buildable and gives a nice rosy colored flush to your cheeks. Because of the red color you need to ensure that you are not heavy handed with it but due to sheerness this will only happen when apply a whole lot of it. 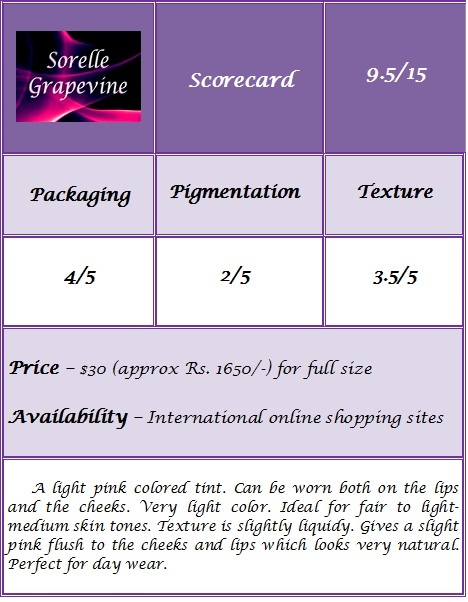 On the lips it is very light reddish tinge and gives a slight natural looking color. What I didn’t like about it was that being so liquidy it spreads all over and even goes in your mouth (yuk). If you have pigmented lips it does nothing for you really. I found that for some strange reason the color showed up more on my lower lip concentrating on the area where the 2 lips meet. I tried patting more on the lower half to make it look even but it didn’t work. So as I’m writing this post I’m sitting here with “ombre” lips 😛 Personally I would not use it as a lip tint. It sort of gave a weird feeling on. Benetint on the lips and cheek. Sorry but had to apply some lip balm as my lips were looking dry. Another one their best selling and most talked about product is the highlighting liquid High Beam. I had read somewhere that Katrina uses this and the glow that you can see on her cheeks is actually due to this product. A pinkish silver liquid with silver shimmer in it. The consistency is thicker than the tints. 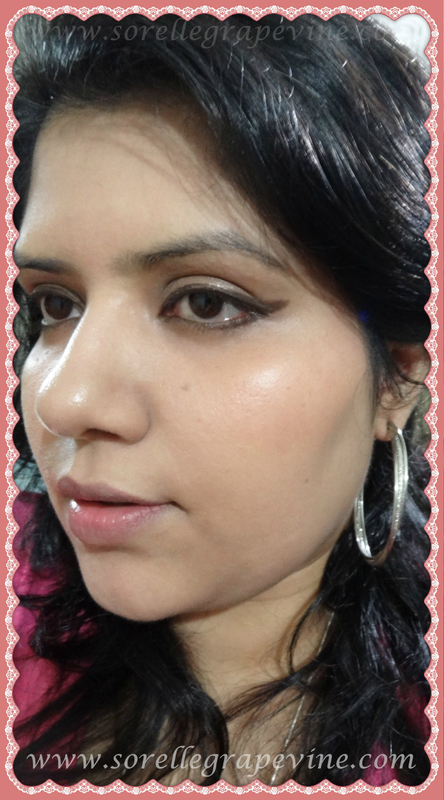 The shimmer particles are minute and help to add dimension to the cheeks. Blends very easily on the skin with few simple strokes. Imparts a beautiful sheen. I have heard about this but not much. A light pink shade which they call a poppy pink. The consistency is thicker than the Benetint. The color goes on very sheer to the skin and if you are light handed with it this might just not show up on your skin. You need to build it up a little and it gives a nice pinkish flush to your skin. On the lip it is a light pink tinge. Gives the lip a nice healthy flush of color which is very natural looking. I think this one would be great for girls who go to college and don’t want to put on anything noticeable. The texture being slightly thicker than Benetint makes it ideal to use on the lips . It did not spread everywhere and I didn’t have that weird ombre thing going on. Either of the tints don’t moisturize or dry out your lips. And neither stays on for too long especially on the lips. Posetint on the lips and cheek. Have some lip balm on. Personally I found the kit to be pretty decent and though I feel that I payed a little much for it I’m happy that I got to use these talked about products. The tints are ideal for day wear and in combination with the highlighter and little more color can easily get translated to a night look. I like the whole kit concept as it helps you to use and enjoy a couple of products from a brand instead of spending almost the same amount and getting like just one or two products. 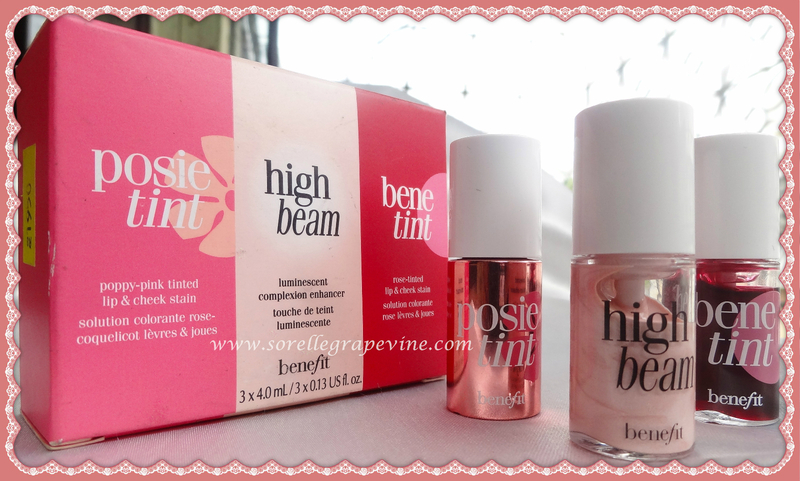 My favorite out of all 3 is High Beam followed by Benetint and then Posie tint (too sheer). Ok before Benefit loyalists jump down my throat and rubbish my scores please let me clarify. This is in context to an Indian skintone and hence the experience and color pay off differs. That concludes this review. Sorry I could not write it in the point-wise formula as I felt it would not do justice to the product. So what are your thoughts and views on the products. Have you tried any of these or something else from this brand? How was your experience. Do write in to me and let me know. See ya around – Bye! PS – Sorry about the pics 🙁 especially the face ones. Lost my will and mojo to take pics. 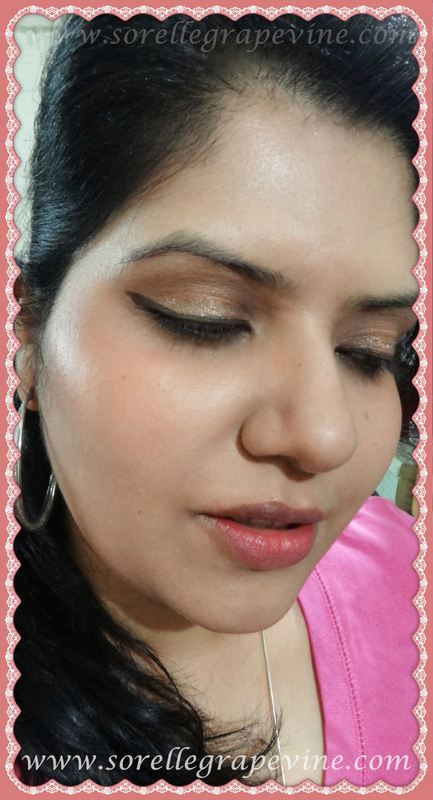 Plus am not used to taking face pics….kinda conscious about it 😛 Kindly bear with me on my learning curve….Thank you! 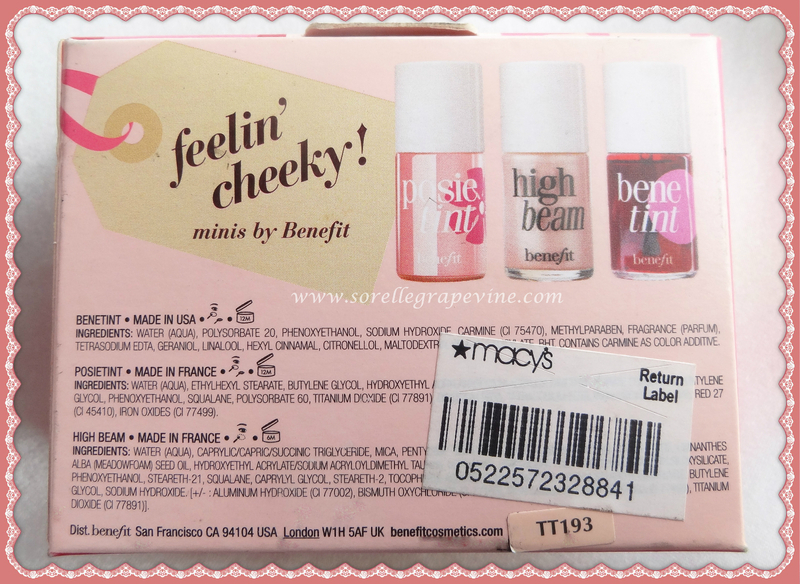 Would you purchase Benefit Feelin Cheeky! mini kit again? – I think I would just buy the Highbeam in full size. Would you recommend Benefit Feelin Cheeky! mini kit to your friend? – Depends on their skin tone.